The concept of having an Online Financial Planner is a relatively new concept. It is a model that is successful in the United States, but in Australia, we still prefer the face to face contact. Gen X and Gen Y are used to dealing with people online. Whether that be sharing selfies with their friends and family on Facebook and Instagram or via video calls on Skype, we are open to connecting with those who are important to us online on a daily basis. So the question we asked ourselves was if your friends and family are online, why isn’t your financial planner? 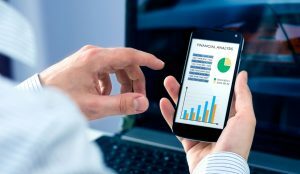 We want to talk about 6 benefits of having an online financial planner which gives you an idea of the advantages of having a financial planner who embraces technology and wants to connect with you. One of the biggest advantages of having an online financial planner is cost. Financial Planners and other service professionals usually own and rent very fancy offices at premium locations. These offices, which make great first impressions, are also extremely expensive. And you pay for this. At Master Your Money Now, we don’t need to rent fancy offices – we need a fancy website which is a lot cheaper! If you are currently engaging with another financial planner, I would strongly encourage you to compare the fees you are paying with ours. We can provide you with high-quality advice from the comfort of your own home, and I am pretty confident we can do it cheaper. When people think online financial planner, they initially think of robots. I don’t know about you, but I don’t want to discuss my financial situation with a robot. And there are articles which show the drawbacks of having a ‘robo-advisor.’ A obot-advisor is not going to be able to help you when markets crash or when you need to claim your Plan B. At Master Your Money Now you work with real people that have real families and real financial planning qualifications. Importantly, you are dealing with experienced people who understand that dealing with money is an emotional topic that needs a human element. You do not get comfort or encouragement when dealing with a robot. We can talk to you from the comfort of your own home! You don’t need to get in the car and try and find a park. No need to get on crowded public transport either. We can meet with you from wherever you are reading this right now. This may be at home, in the office, while you are on a beach in Bali or whether you would like to receive advice. If you have a computer, iPad or mobile phone and a decent internet connection we can provide you with advice. If you are in a relationship and your finances are combined, your financial planner must talk to both of you, so we are all on the same page. However, in today’s society, getting both of you in the same room in the same location can be extremely difficult. Both of you can be at work, or one can be at home with the children, and the other can be at work. If you are a FIFO worker, you and your partner can be in different cities or locations. Or for those who do shift work, one of you can be at work, and the other is sound asleep after night shift!!!! Having an online financial planner solves this issue. You can join in the video conference from wherever you are right now, and your partner can join in that same conference as well. You all receive the same message and know exactly where you stand with your finances and the next steps involved to get you to where you want to be. One of the reasons your Financial Planner will want to become an online financial planner is so they can travel. For those who don’t know my story, I am engaged to a Kiwi who loves to travel. We have plans to go to Africa, America, and Europe all within the next few years. We are also considering where we want to live long term as well. In the short term, we want to remain where we are currently located (Geelong), we are considering long-term whether we want to sunny Queensland or back closer to my fiancé’s family in New Zealand. Either way, I hope to have some great travel stories to share with you! And I hope you have some great travel stories to share as well. If you are someone who values traveling, wouldn’t you want a financial planner who values travel as well? Financial planning requires a LOT of paperwork. Those who receive basic financial planning advice will easily receive over 200 pages of documentation about the recommendations provided. There will be a lot of paperwork which will require your signature as well. Where do you store all of that paperwork? Especially if you are someone who likes to travel? As an online financial planning company, we embrace technology. Therefore we can send all of these documents online to you securely via email. But what I think is cool is that you can also SIGN documents online as well! Use your finger or mouse to sign documents to rollover your super, adjust your investments and get your plan B in place. These documents will all be securely located in an online portal that only you and your online financial planner can access. Still not convinced about having an Online Financial Planner? I understand your scepticism – it is a relatively new concept. But why don’t you give us a try? Our first appointment is complimentary and only requires 30 minutes of your time. You can see how easy it is to speak to a real financial planner online from the comfort of your own home. Book in your no-obligation consultation today!